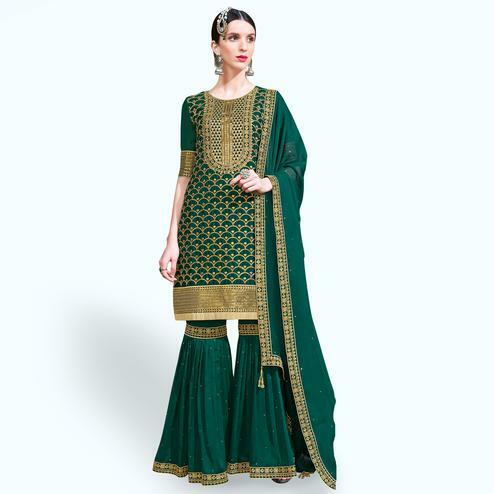 All the fashionable women will surely like to step out in style wearing this impressive pastel green colored palazzo suit which has been designed using netted fabric. This suit is beautified with heavy embroidered work done as shown which is sure to match your choice. 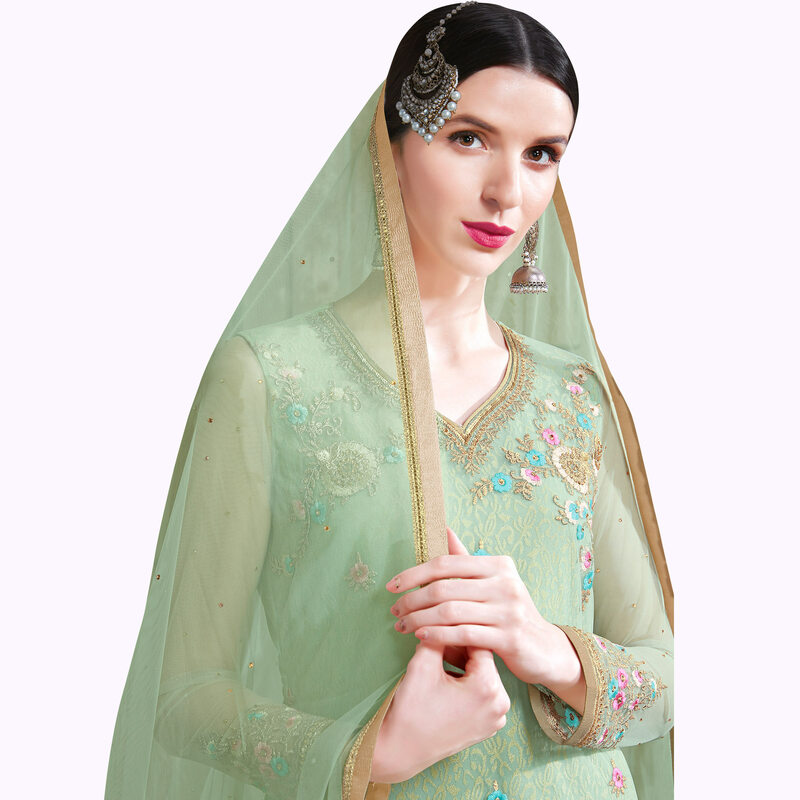 Comes along with santoon top inner, netted palazzo, santoon lining and chiffon dupatta. The stitched palazzo suit is enhanced with amazing embroidery along with lovely flare which makes this attire perfect for any occasion. Specially designed to wear for parties, wedding and occasions, where you want to be center of attraction. Team it with stylish accessories to make your looks more beautiful. Buy this palazzo suit and earn lots of compliments from onlookers. Note:- The actual product may differ slightly in color and design from the one illustrated in the images.